One of my New Year’s resolutions that didn’t get accomplished in 2013 but am determined to get done in 2014 is to finish my scrapbooks. I have two huge shopping bags filled with stuff to be scrapbooked: one with all my wedding stuff and the other with college stuff. Not everything in these bags can be scrapbooked, so whatever can’t go in a book I want to put in a shadowbox. 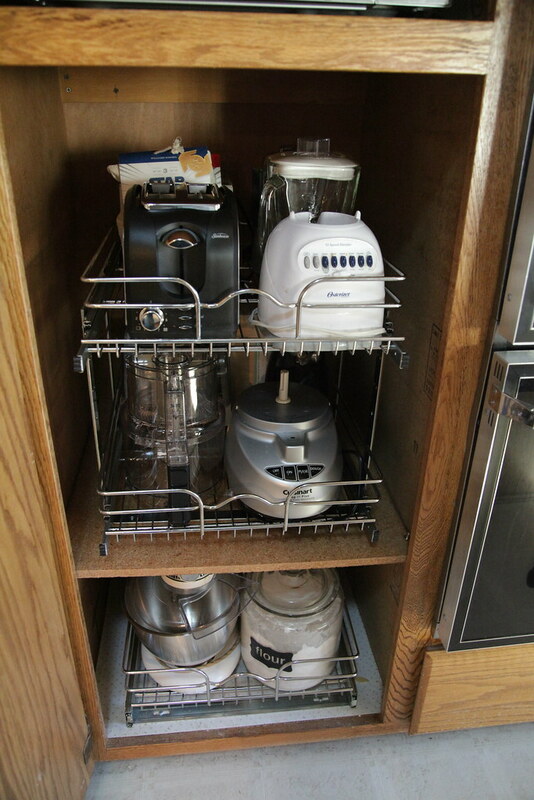 This weekend’s assignment was to tackle the kitchen, something I have to admit I was a little afraid to do. I haven’t given the kitchen too much love only because I’ve been in the mindset of, “I’m remodeling it anyway.” Considering a remodel is a long ways off, I really need to figure out how to make my kitchen work for me so I can accomplish my New Year’s resolution of not dining out so much. I’ve learned when my kitchen frustrates me, I don’t want to cook in it. I started this assignment off by cleaning all the surfaces like I normally do, which was mainly my countertops. 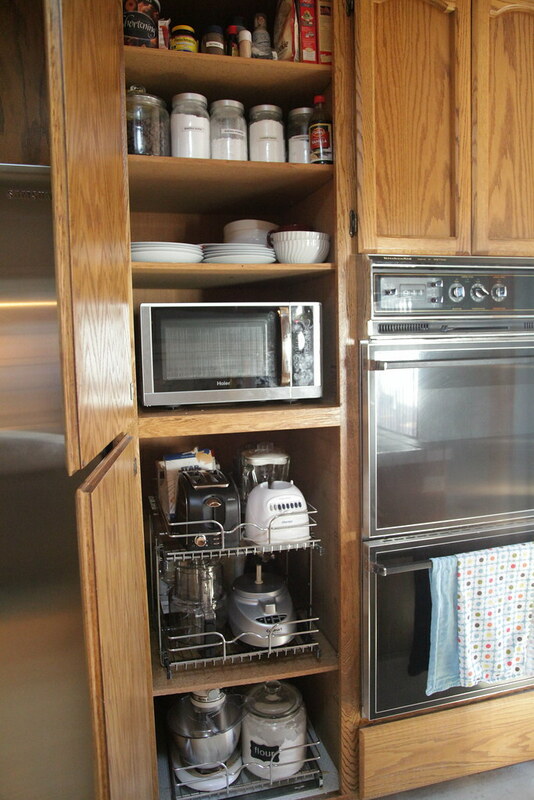 I cleaned the cabinets for the very first time, I gave the refrigerator a good polish, and I had to use a heavy-duty (sadly, not green) degreaser to fully clean the under cabinet hood and oven. I went through the refrigerator and removed any expired food or food that had been lingering around from my New Year’s Eve party that I knew I didn’t want. Then Josh helped me out by vacuuming and steam mopping the floors. All that cleaning and degreasing took most of Saturday, and I was so beat by the time it was done that the last thing I wanted to do was cook a meal. I saved the trying new recipe part for Sunday. 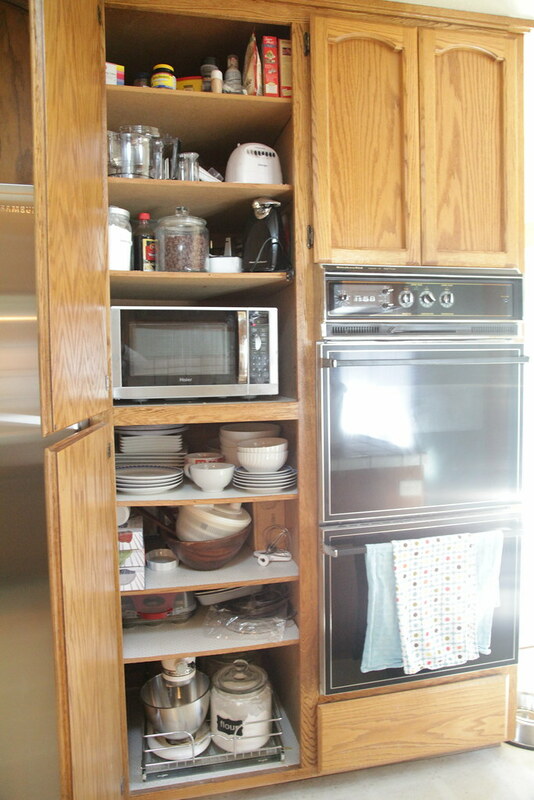 Yesterday I tackled the one area of my kitchen that frustrates me the most: the cabinets between my fridge and oven. 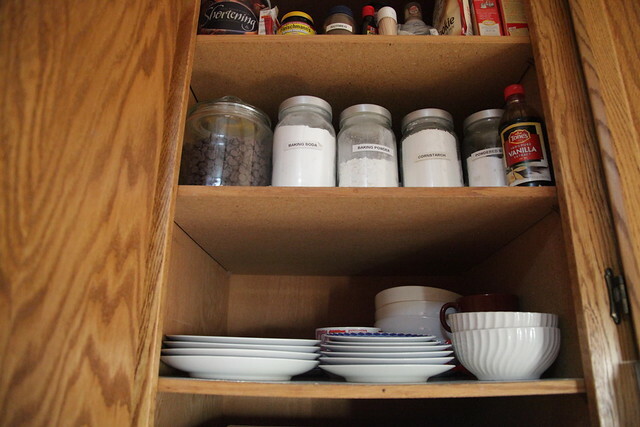 Being 5″3 reaching back and up into these cabinets is a pain, and because of this, I have to move everything up to the front which in turn means I can’t utilize the storage to its full capacity. I took everything out, added several dishes and plates I no longer use to my outbox, removed the ugly contact paper from the shelves, and reorganized everything. I went to Lowe’s for some pull-out shelves to make accessing certain items a lot easier for a short person such as myself. For dinner, I made homemade butternut squash soup. I tried this recipe with a couple of modifications due to not having all the ingredients and not wanting to roast my squash for an hour (I did it for 30 mins at 375°). 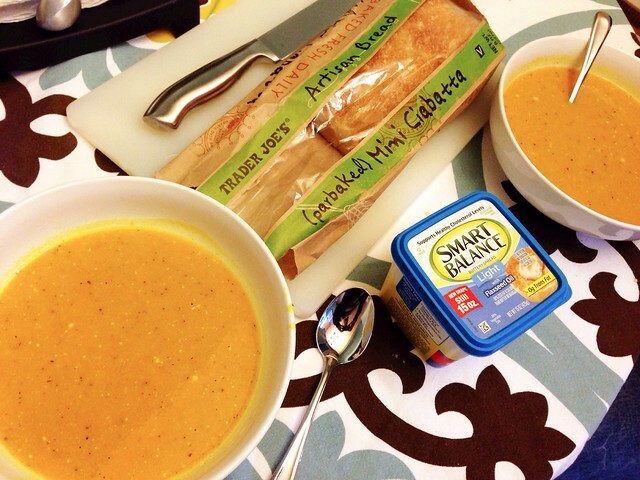 I served it with a side of Trader Joe’s Artisan Ciabatta Bread, and overall it was very tasty! I’m not sure if I will make it again because it was a lot of work, so I am going to explore other readymade versions. Ah the get-together… it’s a very tricky situation. When I did this last year I had to skip out on this assignment because towards the end of the month/beginning of February we have a celebration with Joshua’s families to celebrate his birthday, my birthday, Joshua’s adopted mom’s birthday, and Joshua’s adopted brother’s birthday. This will most likely be happening again this year.